LONDON — The no-fly zone for drones around British airports is being extended to 5 kilometers (3.1 miles) in an attempt to avert disruptions like the December groundings of flights at Gatwick Airport, officials said Wednesday. The Department for Transport said the zone will widen on March 13 from the current 1 kilometer (0.6 miles). Officials are also working on new legislation to give police more powers to stop and search people suspected of using drones maliciously. Transport Secretary Chris Grayling said people who fly drones near airports "are not only acting irresponsibly, but criminally, and could face imprisonment." 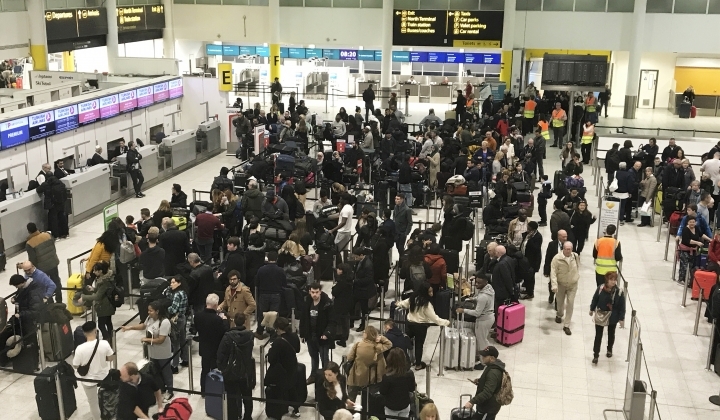 More than 100,000 travelers were stranded or delayed before Christmas after drone sightings near Gatwick, which is Britain's second-busiest airport. U.K. aviation authorities say 125 near-misses between drones and aircraft were reported in 2018, up from 93 in 2017.